I’m back for another episode of the Fanboy Forecast. This week I can finally see why a highly regarded Zelda game is so beloved, thanks to an HD upgrade for the WiiU. The Wind Waker HD is an excellent adventure that does an great job of porting a Gamecube game into HD. Hello, we’re back for another exciting edition of the Fanboy Forecast. This week we discuss the surprise follow up to the much beloved game Undertale, Deltarune. https://oglink.com/26bl Please send thoughts, questions, and comments over to Bryce@otakugeneration.net Enjoy! 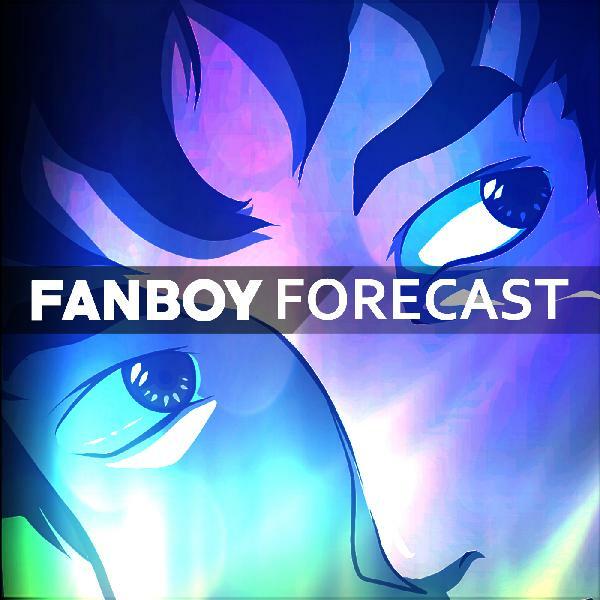 Hello, we’re back for another exciting edition of the Fanboy Forecast. No Annalise this week, but I still give my impressions on another great Legend of Zelda Book. http://oglink.com/25az Please send thoughts, questions, and comments over to Bryce@otakugeneration.net Enjoy! Hello, we’re back for another exciting edition of the Fanboy Forecast. We discuss the second season of the surprisingly good adaptation of Castlevania. http://oglink.com/249u Please send thoughts, questions, and comments over to Bryce@otakugeneration.net Enjoy! Hello, we’re back for another exciting edition of the Fanboy Forecast. Annalise is back this week, and we dig into the movie The Boy and the Beast. http://oglink.com/2377 Please send thoughts, questions, and comments over to Bryce@otakugeneration.net Enjoy! Hello, we’re back for another exciting edition of the Fanboy Forecast. It is episode 100! Annalise is out this week, so it is just me talking about the final installment in what has become one of my favorite video game series, The Banner Saga. http://oglink.com/21qh Please send thoughts, questions, and comments over to Bryce@otakugeneration.net Enjoy! Hello, we’re back for another exciting edition of the Fanboy Forecast. This week we give our initial impressions on a new animated series, The Dragon Prince. http://oglink.com/20zr Please send thoughts, questions, and comments over to Bryce@otakugeneration.net Enjoy! Hello, we’re back for another exciting edition of the Fanboy Forecast. This week we get to talking about a 2017 Marvel Universe movie, Thor: Ragnarok. http://oglink.com/1z9x Please send thoughts, questions, and comments over to Bryce@otakugeneration.net Enjoy! Hello, we’re back for another exciting edition of the Fanboy Forecast. An Annalise this week, just me with some quick thoughts about Otakon 2018. http://oglink.com/1ybx Please send thoughts, questions, and comments over to Bryce@otakugeneration.net Enjoy! Hello, we’re back for another exciting edition of the Fanboy Forecast. This week we cover a really cool animated mini-series that ran on Cartoon Network. http://oglink.com/1xa4 Please send thoughts, questions, and comments over to Bryce@otakugeneration.net Enjoy! Hello, we’re back for another exciting edition of the Fanboy Forecast. Annalise has returned and she’s got a lot to say about our topic this week….My Hero Academia. http://oglink.net/1wpt Please send thoughts, questions, and comments over to Bryce@otakugeneration.net Enjoy! Hello, we’re back for another exciting edition of the Fanboy Forecast. I’m afraid no Annalise this week, so I alone shall review this Magaman inspired platformer. http://oglink.com/1w43 Please send thoughts, questions, and comments over to Bryce@otakugeneration.net Enjoy! Hello, we’re back for another exciting edition of the Fanboy Forecast. In this show, Annalise and I travel back to our pasts and discuss a manga that is a great, stylized version of Pokemon. Also, check out the super cool OGLink. http://oglink.com/1v2v Please send thoughts, questions, and comments over to Bryce@otakugeneration.net Enjoy! Hello, we’re back for another exciting edition of the Fanboy Forecast. In this show, Annalise and I revisit an old topic in the form of Nier Automata. It has teenage, anime boy and girl androids fighting for humanity’s future. What else do you need? http://oglink.com/1ue2 Please send thoughts, questions, and comments over to Bryce@otakugeneration.net Enjoy! Hello, we’re back for another exciting edition of the Fanboy Forecast. In this show, we discuss another new anime that just debuted on Netflix this season. It is much better than B: The Beginning, we swear. http://oglink.com/1tpl Please send thoughts, questions, and comments over to Bryce@otakugeneration.net Enjoy! Hello, we’re back for another exciting edition of the Fanboy Forecast. In this show, we discuss a hot new anime that just debuted on Netlfix. Okay, maybe hot is the wrong word, but you should listen anyway. http://oglink.com/1t08 Please send thoughts, questions, and comments over to Bryce@otakugeneration.net Enjoy! Hello, we’re back for another exciting edition of the Fanboy Forecast. In this show, we have discussion about the latest entry in the Legend of Zelda series. http://oglink.com/1sft Please send thoughts, questions, and comments over to Bryce@otakugeneration.net Enjoy! Hello, we’re back for another exciting edition of the Fanboy Forecast. In this show, we head to the fields and cultivate a lively discussion about Stardew Valley. http://oglink.com/1s1e Please send thoughts, questions, and comments over to Bryce@otakugeneration.net Enjoy! Hello, we’re back for another exciting edition of the Fanboy Forecast. In this show, we revisit an older topic that is of one of our favorite 2017 games, Persona 5. http://oglink.com/1rmh Please send thoughts, questions, and comments over to Bryce@otakugeneration.net Enjoy! Hello, I’m back for another episode of the Fanboy Forecast. The show is expanding as I welcome Annalise to her first Fanboy Forecast recording. We both really like Hakata Tonkotsu Ramens, a new fun show this season about hitmen. We hope you enjoy our discussion. http://oglinkl.com/1r9v Please send thoughts, questions, and comments over to Bryce@otakugeneration.net Enjoy! Hello, I’m back for another episode of the Fanboy Forecast. This week I am covering an older comic series that really caught me by surprise. Hellboy is full of creativity and fantastical stories with a protagonist who is very easy to love. http://oglink.com/1qb3 Please send thoughts, questions, and comments over to Bryce@otakugeneration.net Enjoy!